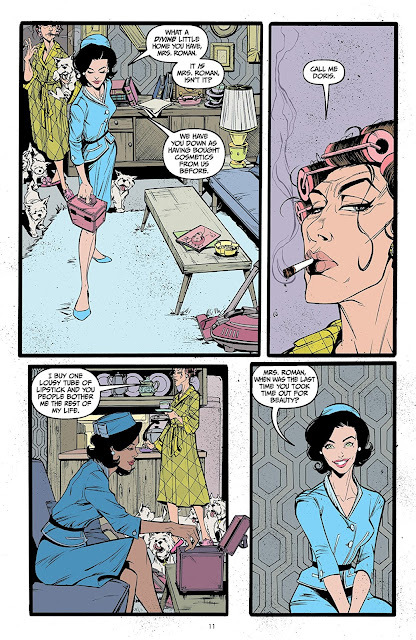 I first became aware of artist Joelle Jones' work as a result of her Dark Horse series Lady Killer (written with Jamie Rich, and colors by Laura Allred). 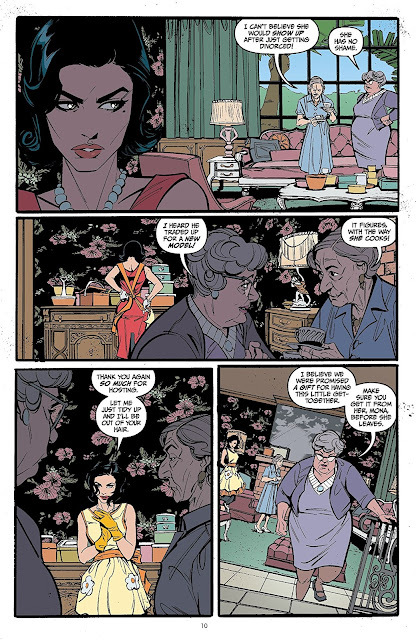 If you haven't read Lady Killer, it's a terrific series with a killer (pun intended) hook - ideal early 60's housewife is actually a paid killer-for-hire. Jones' art (colored by Laura Allred in the first arc, and by Jones herself in the sequel) really brings the story to life in a way that acknowledges the dark humor in the premise, but takes the main character quite seriously. And what a main character she is! A beautiful woman with style like Jackie Kennedy, and with two gorgeous little kids at home, she also (in her spare time) is an incredibly effective, brutal and efficient contract killer. Jones brings her character and this whole world to life in stunning detail. Jones has an incredibly detailed style, that exaggerates people but not in a way that takes away from their realism. Her characters aren't photo-realistic, they're more hyper-realistic, with slight exaggerations to their humanity. Jones has incredible skill with facial and body acting, such as the perfect poise with which her main character sits in the above page. Jones excels also at using character's eyes to do a lot of visual storytelling. Even without any dialogue, you could really follow her work by just watching the eyes of her characters. And Jones draws some of the best-looking characters I've ever seen in a comic - and not in a cheesecakey way, but simply characters you can't turn away from. One of my favorite things about Lady Killer is its verisimilitude. Granted, I wasn't around during this era, but in looking at each panel, it feels like a tremendous amount of attention to detail was paid to furniture, wallpaper, clothing, and all other aspects of the visual storytelling. As a reader, that makes a huge difference - I've read more than one story that was intended to be set in a specific time period, and it's clear that the artist didn't do much beyond throw in a few obvious references in order to connote that time period. Jones is also a tremendous world-builder generally, and while her characters may feel slightly exaggerated, each of those design and geographic details feels incredibly precise. Taken together, the whole feel of Lady Killer is that of a book where a great deal of time and care was put into all aspects of the storytelling. 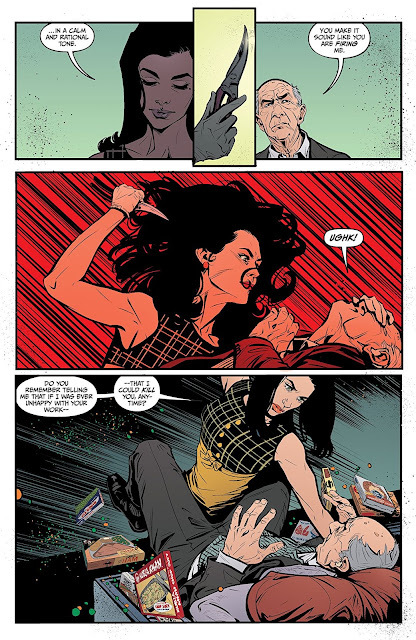 Jones is skilled not only at world-building and character design, but is also a fantastic illustrator of action and violence (of which there is plenty in Lady Killer). As seen above, Jones' mastery of pacing, physical form, and choreography makes for highly compelling, shocking visual turns. 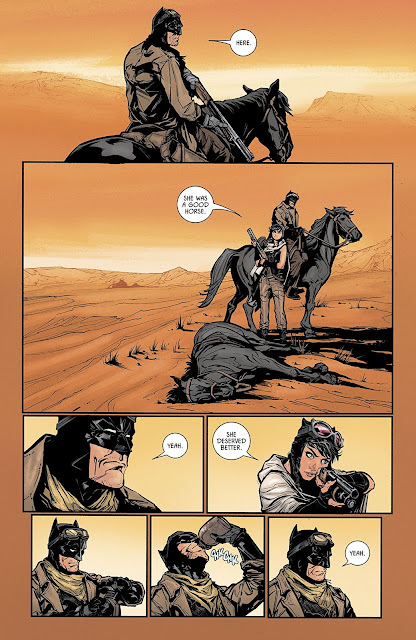 Jones of course has done many more works than just Lady Killer, in recent months she's worked on Batman (in some terrific issues, such as seen below) and the well-regarded miniseries Supergirl: Being Super. Her skill with action and combat serves her very well in those stories as well. At this point Jones is one of those artists where I would pick up any comic simply because she was involved. I strongly recommend checking out her work, regardless of whether you'll be at HeroesCon.